In a large bowl, mix together egg, mayonnaise, mustard, Worcestershire sauce, parsley, and Old Bay seasoning. 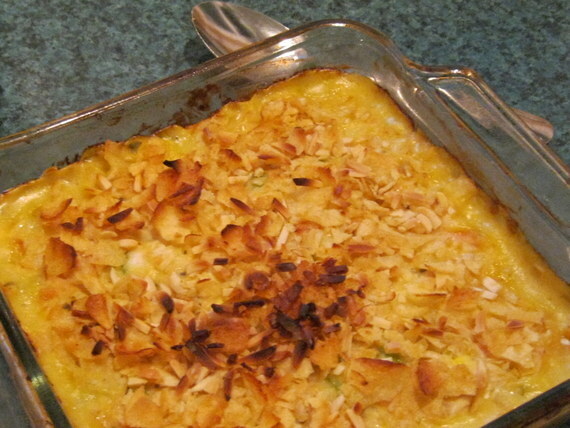 Add breadcrumbs and crab meat and mix by hand to avoid breaking up too many of the lumps. 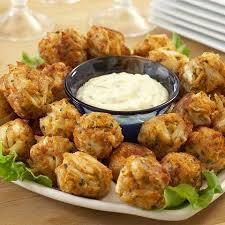 You may need to break up the very large lumps however so the crab balls will stay together. Shape into 24 balls and fry in batches in hot oil until golden brown, turning once*. Drain on paper towels. Serve with your favorite sauce or don’t use any! These are so good! *I cooked mine on the George Forman Grill to avoid adding all the fat of frying. You can also grill outdoors or cook under the broiler! THIS RECIPE WAS FOR A PIE BUT THERE WAS TOO MUCH FILLING AND IT WOULD HAVE MADE A MESS IN MY NEWLY CLEANED OVEN SO-O-O-O I MADE IT INTO LASAGNA! Lightly coat 13″ x 9″ baking pan with non-stick cooking spray. 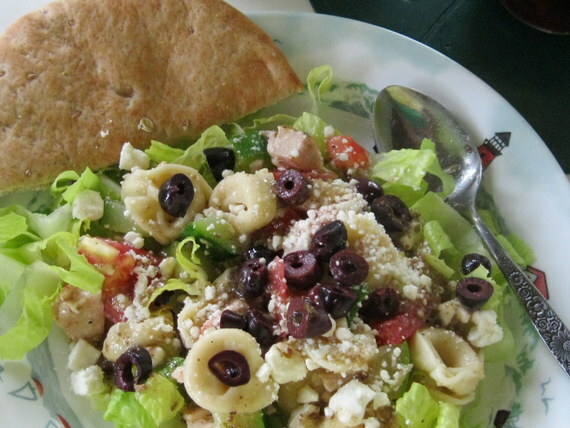 In large bowl, mix first 5 ingredients plus 1/2 of the Italian blend cheese. Place two and a half tortillas in bottom of pan slightly overlapping. Add layer of cheese mixture, another layer of tortillas and cheese mixture. Bake at 375 F for 20 minutes. Remove from oven and sprinkle the rest of the Italian blend cheese on top. Bake an additional 5 minutes. This is such a quick and easy meatless meal and if you forget to thaw the spinach you can always nuke it slightly until it is easy to blend. Serve with salsa and tortilla chips. I also had fresh salad and corn on the cob! *I don’t drain things too well so some of the juices get in the sauce! Cook pasta according to directions, drain and set aside. In same pot bring chicken broth to boil and add dollops of cream cheese stirring to melt into a nice creamy sauce. 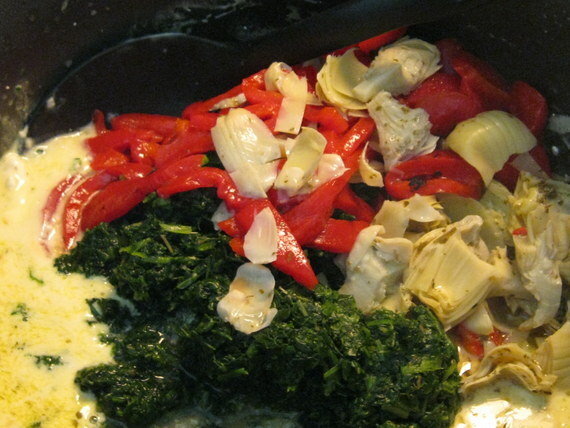 Add spinach, red pepper strips and artichokes and stir. 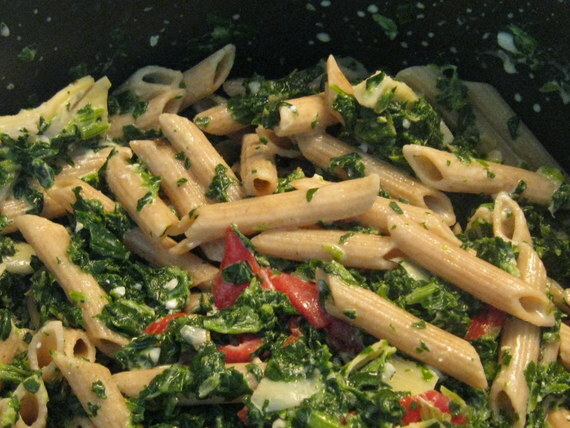 Return pasta to the pot and stir it all up. 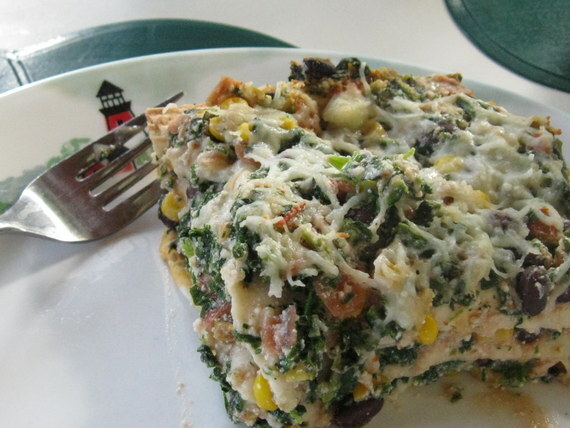 Serve with cheeses on top and ENJOY! I SERVED THIS WITH BBQ CHICKEN ON THE GRILL, CORN ON THE COB AND A BIG FRESH SALAD.